Sailport Waterfront Suites made for a wonderful vacation. 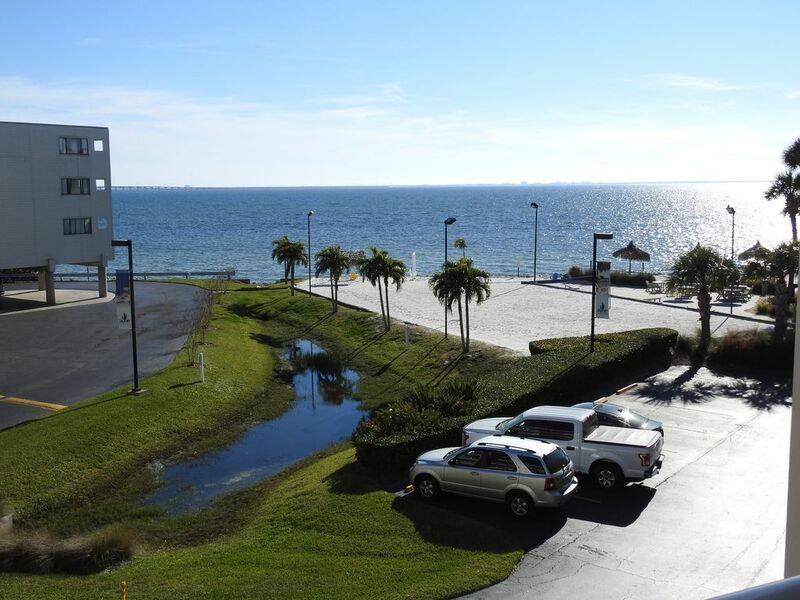 Sailport Waterfront suites was a great place for a relaxing vacation. Property was safe and clean. All staff was friendly and inviting. Beach was combed daily and the parking and grounds were swept and kept very nice. Pool was clean and refreshing. Pearly’s Beach Eats was fun and had fantastic food. We would definitely like to come again. The resort was not quite as close to shopping and dining as I thought it would be, but it was still a great getaway. Very clean unit and perfect location to Clearwater Beach, Amusement Parks, Ybor City. Pool side restaurant has good food at great prices. Pool water is 80 degrees. Pool needs to be larger. One suggestion or perk that could be provided by the owner is to include 4 beach chairs. Owner did have a cold bottle of wine waiting. Need a queen size bed In The master. It has a full size which is way to small for two adults. Definitely will stay again if a bigger bed is there. This was our 2nd time staying at this condo and it was even better than the first time. We were greeted with a bottle of wine and chocolates! The owner really took our first review seriously by providing more toilet paper and fixing the electrical outlet in the office area. We had a concern about the air but the owner called us and walked us through the settings. Excellent service all around. Nice Property with Great Price! My husband and I stayed here during our spring break/wedding anniversary trip and it was a great experience. 1. The property has a beach area where you can play volleyball, stretch out, pool area for swimming, and a restaurant. The restaurant has great fish tacos and chips/salsa. 2. Because it was close to the airport, we used Uber. The average trip was $8! We went to the riverwalk, the aquarium, and the mall. The most expensive ride was to Clearwater Beach ($21) because we went during the surge pricing time. 3. The apartment was super clean! We spent most of our time in the living room and slept on the sleeper sofa. 4. Plenty of restaurants that deliver. 5. 24-hour convenience store in the lobby. It's small but it has the necessities. 1. The apartment only had two rolls of toilet paper, one roll of paper towels, and no face towels. You may want to pack these items or go to the nearest Walgreen's. 2. The front desk will be of little to no use to you. We couldn't use any of the resort amenities (housekeeping, transportation, etc.) because our apartment was owned. We could've saved even more on our transportation if we were able to use the resort shuttle. 3. I had to reach out to the owner via email to get the arrival details. I was expecting the owner to provide instructions at least a week before our arrival. Also, no check-out details were given. 4. Some of the outlets weren't working. Our phones took a while to charge.